In a pursuit to provide technological excellence in the field of medical diagnostics to the masses, ‘ArjanImaging LLP’ has always taken an initiative. 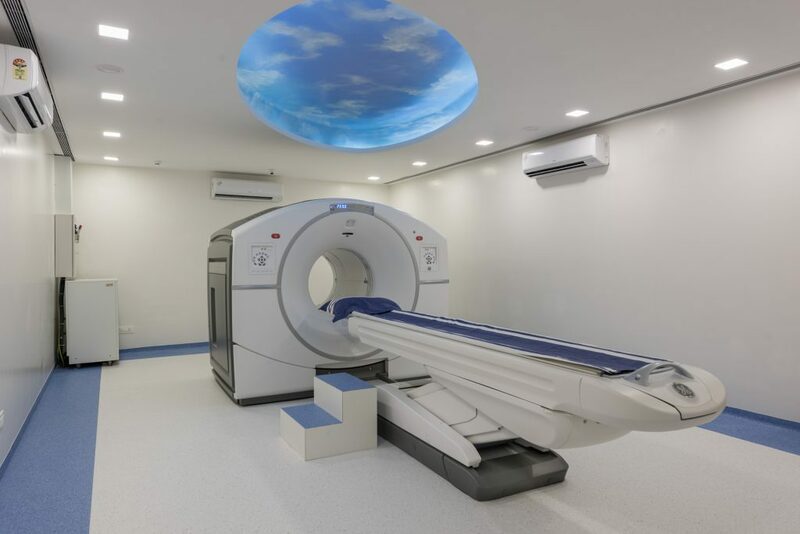 Their recent endeavour has been a setting up of JEEYO PET CT SCAN & NUCLEAR IMAGING CENTER, providing Molecular Imaging & Therapy facilities such as: PET CT Scan, Nuclear Medicine Scans (SPECT). The centre is at Ghatkopar, in the heart of central suburbs, facilitated by the group of reputed DOCTORS from MUMBAI region who have more than 30 YRS of vast experience in imaging​. JEEYO PET CT SCAN & NUCLEAR IMAGING CENTER, a well spread over 3000 sq. ft. area, aesthetically designed, is equipped with latest brand new WIPRO GE machines. The center is operated under regulations as provided by the Govt. of India, under auspices of the Atomic Energy Regulatory Board. Our paramedical staff includes skilled Nuclear Medicine and CT Technologists, skilled nurses. Our mission is to provide high quality service in terms of scanning and reports, while ensuring total comfort and safety to the patients. What we do in Jeeyo ? Single Photon Emission Computed Tomography (SPECT) and Positron Emission Tomography (PET) are imaging modalities that come under the purview of Molecular Imaging called Nuclear Medicine where we use radio pharmaceuticals for diagnosis. What are Radio pharmaceuticals ? Radio pharmaceutical agents are also called radio tracers. They are sub-pharmacological doses of agents labelled with a radioactive isotope for functional imaging. They do no exert any significant physiological effect and are safe to use even in very sick patients, in patients of kidney failure, in patients of liver failure or heart failure. The agents are US-FDA and DCGI (India) approved. Is it only for diagnosis or scanning ? Radio pharmaceuticals can also be used for therapy. At present we have the facilities to provide low dose radioiodine (I-131) therapy for thyrotoxicosis i.e. hyperthyroidism. IQ = Image Quality. Intelligent Quantitation. The NEW GE Light Burst PET detector technology is designed to deliver the highest sensitivity of any PET-CT anywhere enabling excellent image quality with fast scans at low doses for greater patient comfort and care. 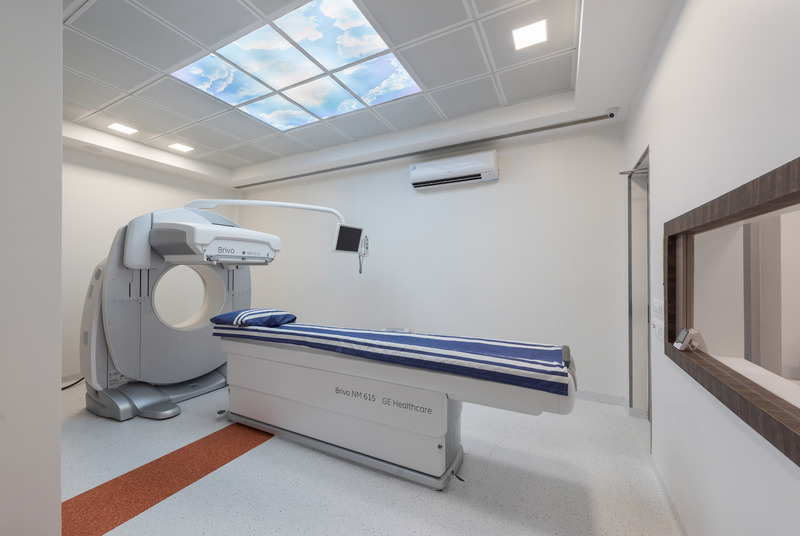 Discovery* IQ, built as a mobile-ready PET/CT platform, features a NEW system design featuring a scalable PET detector ring and GE’s Optima CT540. Scalable Detector Ring Built to optimize clinical performance. Mobile-ready platform Providing greater access to more patients in more locations. Optima CT540 Excellent signal management. The Brivo* NM615 SPECT – optimized collimators and ultra – high count rate affordably deliver precise lesion detection. SINGLE-HEAD DETECTOR system easy-to-use nuclear medicine solution. Reducesacquisition time & scans faster with lower doses with Evolution technology. Minimizedistance between patients and detectors. Deliversdual-head performance with a single-head system with Evolution technology.